Because they have had a chance to evolve alongside humans, domesticated dogs make some of the best animal companions for a wide range of reasons. One of the biggest conveniences to having a pet of the canine persuasion is how similar they are to humans in terms of the foods they can consume. Unlike cats, who are obligate carnivores who completely lack the ability to taste sweet things, dogs are true omnivores. Even better: they are omnivores who have developed the ability to digest starchy foods, though perhaps not as effectively as humans. This means that many of our favorite foods are safe for our dogs to enjoy—at least in moderation or as a treat. This means that we can often give our dogs a taste of whatever superfoods are trending at the moment. These days, in addition to kale, acai berries, and kombucha, sprouts are quite popular. 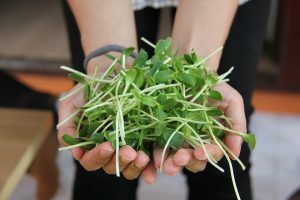 Many people grow their own sprouts at home and use them raw in foods like sandwiches, wraps, and salads, and even more cook them into soups, stews, and pasta dishes. These young plants add a satisfying crunch to any dish, but they are also touted for their health benefits. Many proponents of sprouted foods make the argument that they are more nutritious than adult plants. That’s great, but the real question is this: can you give your dog sprouts, too? Can we share this trendy superfood with our canine companions? The answer is yes, healthy dogs can eat sprouts in moderation. Two of the most commonly consumed types, bean and broccoli sprouts, are considered safe for dogs whether they are cooked or raw—neither of them contain any chemicals that can be toxic to your pooch, so there is nothing to worry about if they tear into the sprout-laden salad you left sitting on the coffee table. In moderation, sprouts are actually an excellent food to give your dog because they are richer in many nutrients than adult plants. Just keep in mind that all raw foods, including sprouts, come with a risk of contamination. Always wash any plant matter used for sprouting. 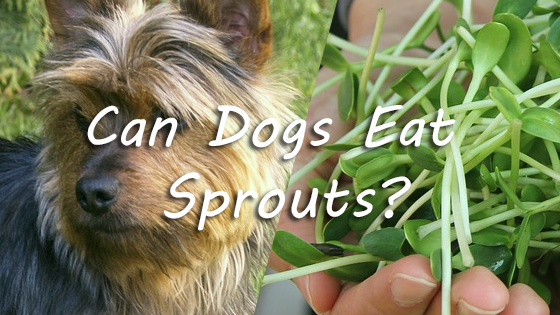 Nutritional Health Benefits of Feeding Your Dog Sprouts? As previously mentioned, dogs are true omnivores! This means that, unlike cats, dogs thrive on diets that include moderate amounts of plant foods, and sprouts are a good way to maximize the nutrition your pooch gets in their daily dose of veggies. Sprouts are packed with protein, minerals, vitamins, antioxidants, and small amounts of various enzymes that may be able to benefit your dog’s overall health. Compared to adult plants, sprouts are higher in Vitamin C, B vitamins, antioxidants, and a handful of other vitamins and minerals. Countless food products boast of their antioxidant content, but what exactly is the purpose of antioxidants? Your dog’s body does not need antioxidant foods in order to perform all of their necessary metabolic tasks—even if your dog eats almost no antioxidants, they will be able to breathe, digest food, and filter toxins out of the blood without any difficulty. Antioxidants are helpful because they act like a suit of armor against harmful, highly reactive particles in the body, called free radicals. Free radicals are completely natural, but their high charge makes them prone to stealing electrons from the particles around them. Sometimes, this electron theft is harmless.  Other times, it causes serious cell damage that later leads to diseases like heart disease, arthritis, diabetes, and some forms of cancer. If you’re looking for a way to pack your dog’s diet full of antioxidant-rich whole foods, broccoli sprouts are an excellent choice. A study from the late 1990s discovered that, on average, broccoli sprouts are at least ten times richer in antioxidants than heads of fully grown, mature broccoli plants! This means that, in conjunction with an overall healthy diet, they may be able to protect your dog from nasty health conditions as they age. Like most plant foods, sprouts are also rich in dietary fiber, which is great for canine digestion. The fiber in sprouts can help regulate digestion by soaking up water and ferrying it into the colon, where it can soften and lubricate stool. Fiber can also add bulk to stool, pressing on the walls of the intestinal tract to stimulate digestion. Making sure that your dog eats fiber-rich foods every day is a great way to make sure that they have regular, healthy bowel movements. Just make sure that your pooch has access to plenty of water—if they eat a bunch of fiber without receiving adequate hydration, they may end up worsening their constipation! Even so, dogs should not dramatically increase their fiber intake all at once. If your dog goes from eating very little fiber to eating large amounts every day, they are likely to develop diarrhea. If your dog starts having diarrhea after you begin feeding them more vegetables, dial back their serving size and wait for things to even out before increasing it again. If problems persist, talk to your veterinarian to make sure there isn’t an underlying issue. Aside from the discomfort associated with consuming too much fiber, the biggest risk linked to eating sprouts is contamination. Sprouted foods have to be produced in a damp, warm environment, which is also the place where bacteria grow the best. Consuming raw sprouts has been linked to an increased risk of suffering from food poisoning caused by E. Coli and Salmonella. Negative responses to food can be mild or severe, so it is important to keep an eye on your dog and take them to the veterinarian if their symptoms are severe or long-lasting. When in doubt, ask a vet. The best way to avoid bacteria is to cook all sprouts before feeding them to your dog. Freezing does not kill bacteria—the only way to sanitize any food is to make sure it is cooked thoroughly! If you want to give your dog raw sprouts, be prepared to seek veterinary care if they show signs of illness. In conclusion, sprouts are safe for dogs to eat in moderation. They are nutritionally dense, nontoxic, and full of antioxidants that may be able to protect your dog against a wide range of health problems as they age. Just make sure that, if you give your dog raw sprouts, you watch them for signs of foodborne illness. Can Dogs Eat Sugar? Can Dogs Eat Spaghetti?